Alright crackle heads... here's another for you! 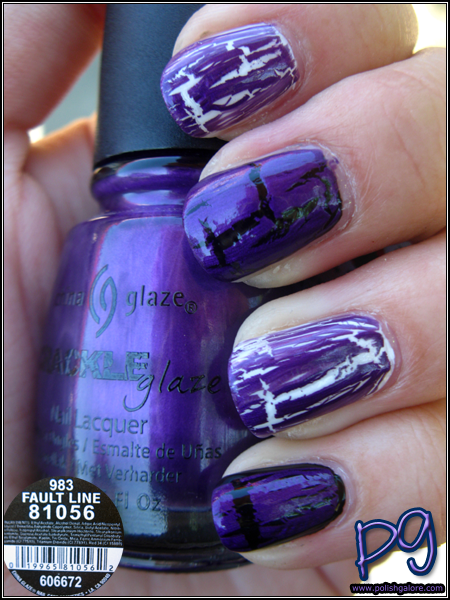 Fault Line from the 1st set of Crackle Glaze by China Glaze is a purple crackle with some shimmer to it. The base color looks a lot like Coconut Kiss. 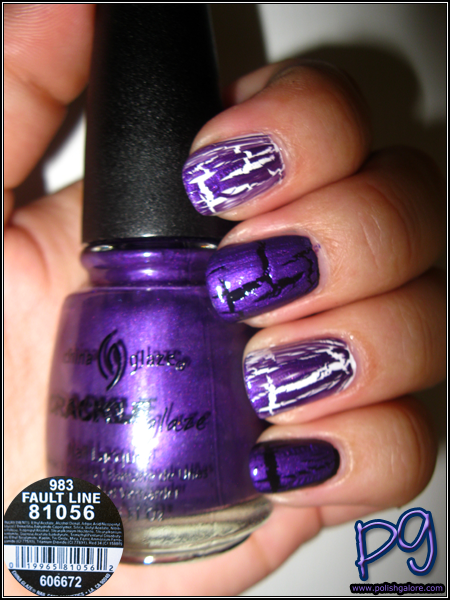 I first tried this color over China Glaze Ahoy! from the Anchors Away Spring collection. Not the biggest fan of it over pink - too 80s throwback for me. 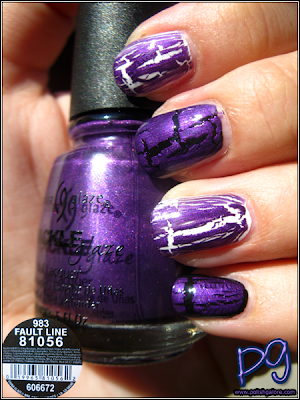 But I do love shimmers/glitters under crackles! Next I tried using CND Blackjack as one base, OPI Alpine Snow as the other. 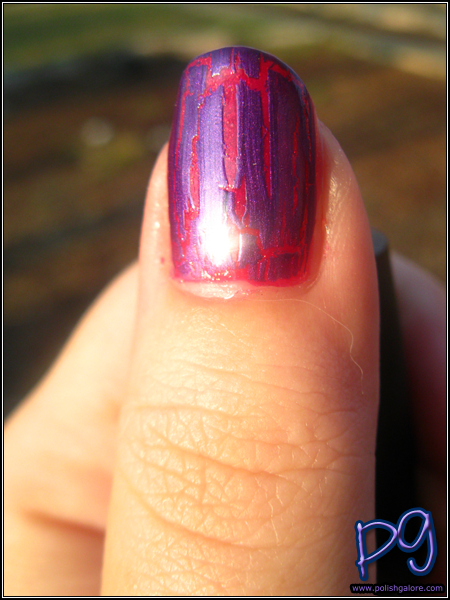 You'll notice some polish pulling on my pinkie finger - I didn't let it dry well enough. 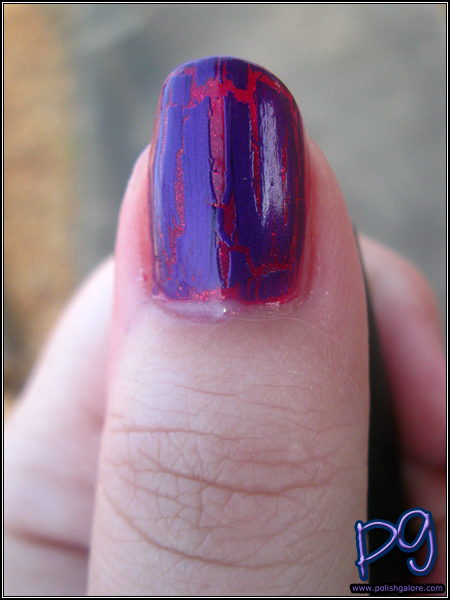 I love that I tend do get a crack at my smile line (where the white part of your nail starts). It's not on purpose, but I love it. The shimmer tends to hide in the shade. Boo.